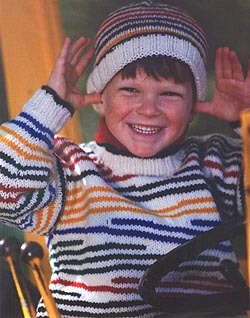 This pullover design is knit using Jamieson's Spindrift 2-ply and Heather Aran 100% wool yarn and is from the Simply Shetland 2 pattern book. 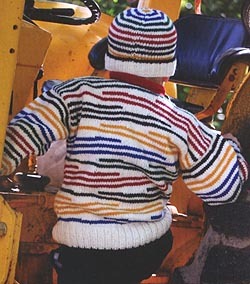 The child size is shown modeled with the matching Hudson Bay Hat. Yarn kits in 5 sizes are detailed below.